The original CTA405 was launched nearly a decade ago and ever since, it has been an object of desire for audiophiles all around the world. 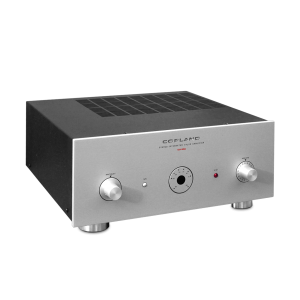 The amplifier is now available in two versions, the classic CTA405 employing type 6550 valves and the CTA405-A version employing KT120 power valves and a dedicated power supply. Vacuum tubes : 4 pcs.KT120. 2 pcs.12BH7. 2 pcs.6922. 3 pcs.E83CC. Shipping weight : 29 Kg.